« 10/6 Arugula, lettuce, nuts, and more! One good thing about semi-public whining is it forces you to do something or look silly. After all, I’m the one that preaches about CSA subscriptions making us try new things and eat a wider variety of produce. Put up or shut up, right? 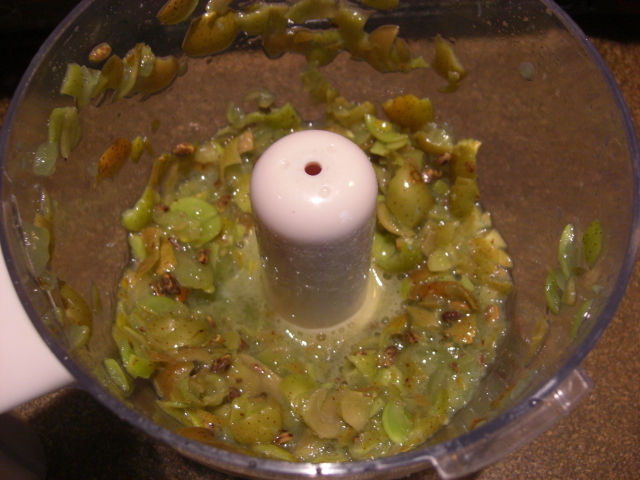 I started with a pint of green muscadines. First, they got crushed in the blender. Then they cooked on the stove for about 10 minutes. At this point, I was entranced by the aroma. It was winy and earthy and very interesting. 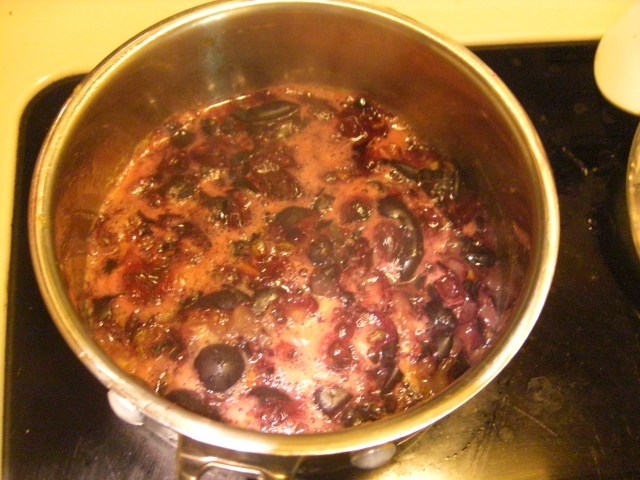 I strained the muscadines, reheated the juice, and added some pectin and honey – roughly 1 tsp of pectin and 2 tsp of honey. (I was too skeptical to measure carefully.) 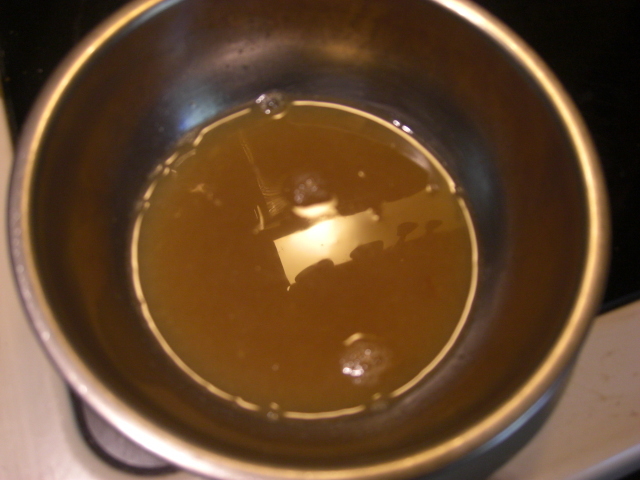 Then I brought it to a boil and added a little more honey. This stuff never set. But I was still excited. 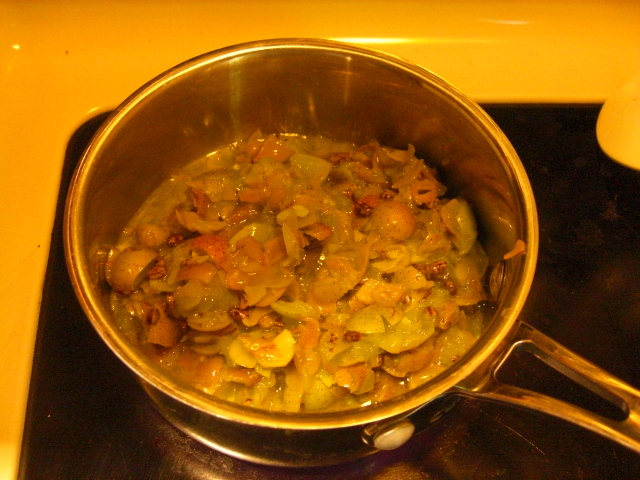 It would make a nice sauce for pork or duck; I think it would overwhelm chicken. Maybe chicken thighs would work. Not having any of these around, I considered making muscadine sauce corn along the lines of caramel corn. 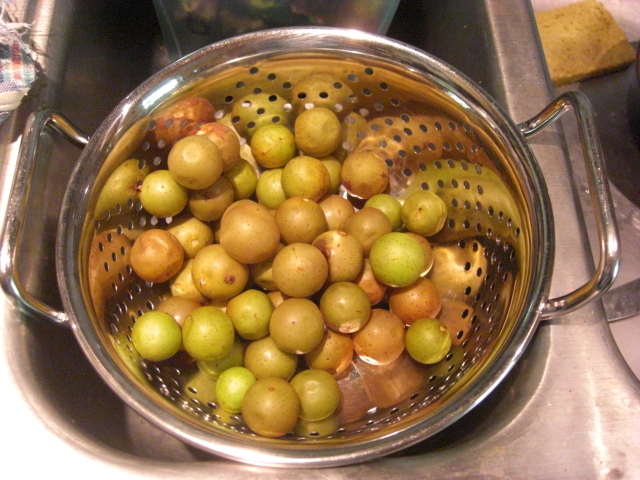 But in the meantime, I was intrigued enough to start on the other pint of muscadines. These dark ones didn’t smell nearly as good. They were a week older, but the aroma was just so different that I don’t think it was age. These guys smelled sticky sweet with no complexity. 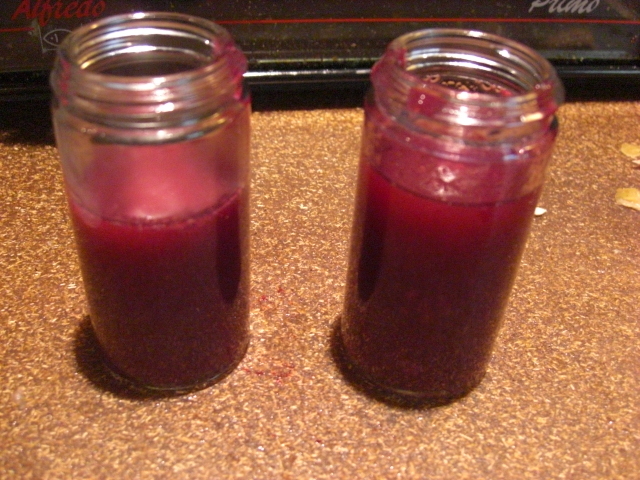 I haven’t had it on toast yet, but I did use it to make muscadine jelly vinaigrette for an arugula salad. I waited until after supper to tell Chris what the dressing was. He couldn’t believe it! I kind of wish I had done the popcorn thing so I could have experienced the green sauce by itself. Hopefully, I’ll get some light muscadines again and have another chance. Oh dear, did I just ask for more muscadines? Totally agree with the muscadine whine! I thought I might plant some since we are new to the area and it is a novel food. Now that no one in the family will readily eat them (just a pain) I know the space will go to blueberries instead! @liz Can’t argue with growing blueberries instead of muscadines. But I’m happy to have found a tasty use for the muscadines I do come across. 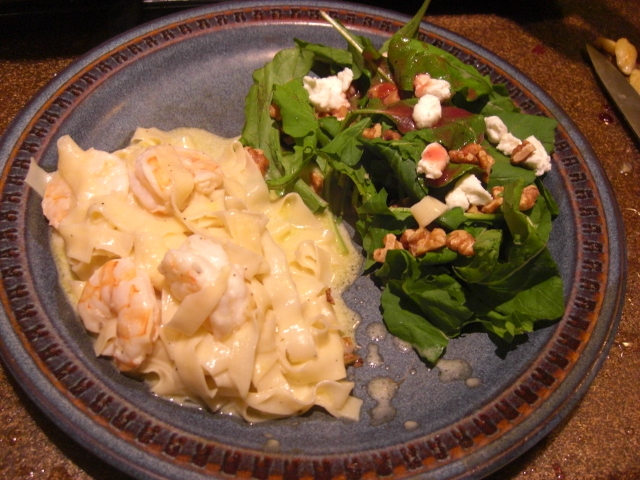 @lucy Hope you noticed your pasta in the picture near the bottom. It was delicious! I’ll write about it in particular soon. 😀 Yay, you took my suggestion!! Take some nice rich bread (2 slices) , slather with butter, grill in a pan butter side down. When brown and grilled, yank one piece out and spread with a thin scraping of this jelly. Put back in the pan jelly side UP, top with cheese and arugula. Put the other piece of bread on the top, butter side down. Wait a minute. flip. Grill other side. Then, you have grilled cheese with muscadine and arugula. To. Die. For. Note, this works best with fontina cheese or something really sharp. Also, if you’re out of muscadine jelly, fig preserves will do very well instead. I made these sandwiches the other day, and they were delicious.